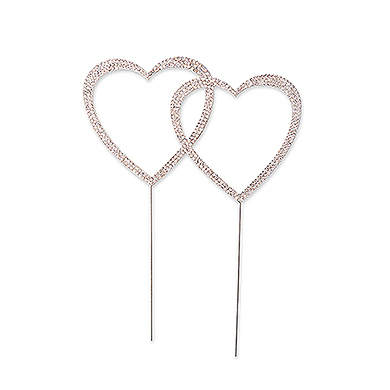 Hearts and sparkle, what’s not to love? Two interlocking silver hearts lavishly inlaid with crystal rhinestones showcase this iconic symbol for love. 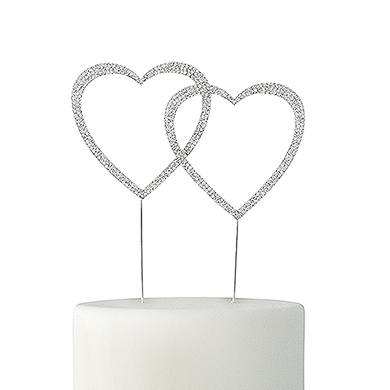 Made of sturdy metal, this elegant double heart cake topper includes slim, food safe picks that will slide easily and discreetly into your cake. Add instant glam to your wedding or any special celebration with this dazzling jewelry for the cake.